Danit Peleg is a graduate of the prestigious Shenkar university of design and engineering in Israel. She is the first fashion designer in the world who makes her models using a standard consumer 3D printer. Her collection consists of five complete models including shoes and accessories. Yet the mission of Danit’s project is a much broader topic than just specific designs. 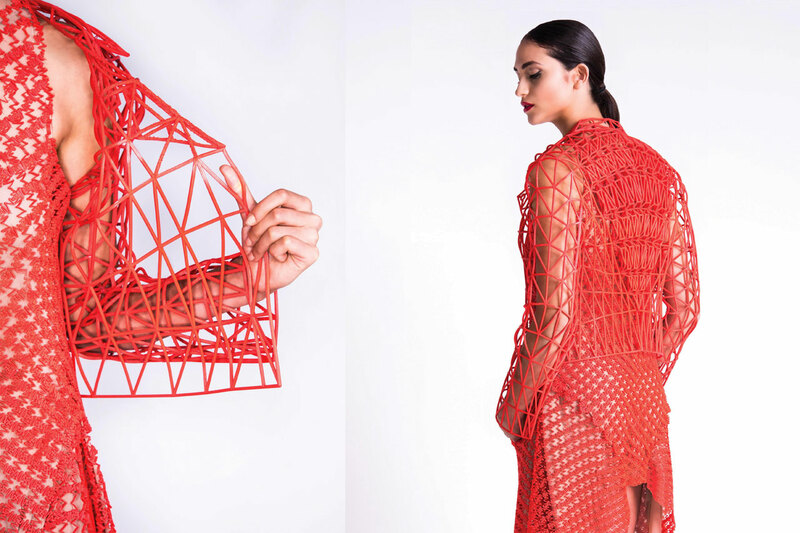 She wants to draw attention to revolutionary possibilities of 3D printing in daily life. She pushes the world of fashion closer to the future when, as she says, we will be able to print out clothes comfortably from home. Fashion talk with Israeli fashion designer. Foreword by Tereza Vernerová Volná on 3D printing in Czech jewellery and fashion. With support of the Embassy of Israel in Czech Republic and fashion blog fashionbook.cz.